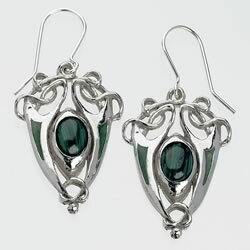 Celtic jewellery, Welsh celtic jewellery and affordable gifts made from pewter and semi precious stones designed by JM Celtic Crafts. Our exquisite Welsh celtic jewellery incorporates traditional celtic designs of spirals, celtic knotwork and interlocking keys. 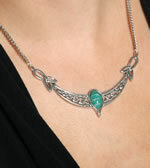 All aspects of celtic jewellery production are carried out by ourselves in our North Wales workshop. Unlike many companies, we do not have our celtic designs made overseas - when we say 'Made in Wales' we mean it! Celtic jewellery available with a choice of semi-precious stones: Amazonite, Black Onyx, Blue Lace Agate, Camelian, Green Onyx, Mother of Pearl, Rhodonite, Sodalite, Snowflake Obsidian and Tiger Eye. Celtic pendants available with either a stainless steel or a sterling silver chain. 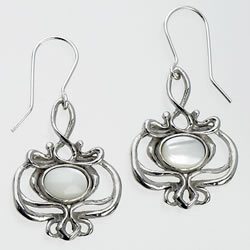 JM Celtic Crafts - Hand crafting Welsh Celtic Jewellery since 1972! Taking inspiration from Welsh Celtic heritage, their Celtic jewellery designs began to incorporate the traditional Celtic patterns found in ancient manuscripts such as 'The Book of Kells'. 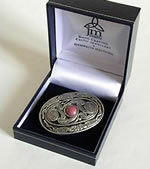 To add another historical dimension, a decision was made to make their Welsh Celtic Jewellery out of pewter, which enhances the Celtic designs, creating a small piece of Welsh heritage. The 2 members of the family still running the company, David & Joan, continue to employ the same traditions and lovingly produce items of Celtic jewellery for people to love and cherish. The company's Celtic jewellery is still exquisitely hand crafted in pewter, with most designs coming with a choice of stunning semi-precious stones. The current Welsh Celtic Jewellery Collection is still based on traditional Celtic patterns, with some of the company's best-selling designs being based around the ever-popular Celtic knot and Celtic cross. 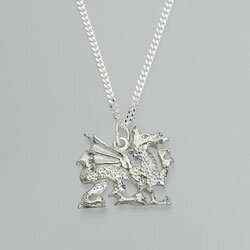 Check out our latest Welsh Celtic Jewellery designs, and buy online. Please contact us for more information on sales and delivery.